Here's the first of a few megamixes I have created. This one is genred as Hi-Nrg, all songs come from the 80's here. 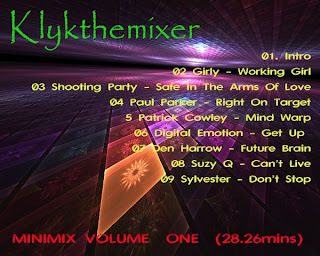 It features some of the best known artists in this genre eg: Paul Parker, Sylvester, Patrick Cowley to name a few.